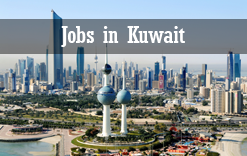 The Kuwait National Petroleum Company is the national oil refining company of Kuwait. Established in October 1960, KNPC handles the responsibility of oil refining, gas liquefaction, and distribution of petroleum goods within the local market. In 1980 Kuwait Petroleum Corporation (KPC) was established as the state owned asset and all other oil companies in Kuwait, including KNPC, became KPC subsidiaries. One year later after the establishment of KPC, the oil sector in Kuwait was restructured on sectorial basis. KNPC became responsible for the oil refining and gas liquefaction industry in addition to the marketing of petroleum products in Kuwait through a chain of filling stations, which reached its peak between 2005/2007 with 119 operating filling stations. In collaboration with KPC the company embarked on studies and plans to modernize refining industry in Kuwait with a multi billion dollar projects to revamp Mina Al-Ahmadi and Mina Abdullah Refineries. All candidates must have ITI with 5-12 years experience in Oil and Gas / Petrochemical Construction Projects.